BEIJING -- Tesla said it is exploring the possibility of establishing a Chinese manufacturing plant with the Shanghai municipal government. Tesla has said it wants to build electric cars in China to avoid a 25-percent tariff on imported vehicles. In a statement on Thursday, it said, "While we expect most of our production to remain in the U.S., we need to establish local factories to ensure affordability for the markets they serve." Tesla said it expects to "more clearly define" its China production plans by year end. China's central government requires foreign companies such as Tesla to have a Chinese partner in new auto manufacturing ventures, with the foreign company owning no more than 50 percent. Tesla did not say which companies it might partner with. Speculation has centered on Tencent Holdings Ltd., the Internet giant that is China's largest company. Earlier this year, Tencent acquired a 5 percent stake in Tesla for $1.8 billion. Tesla has not said which vehicles it plans to build in China. However, a supplier familiar with the company's thinking said it was considering the Model 3 sedan and a crossover companion called Model Y. 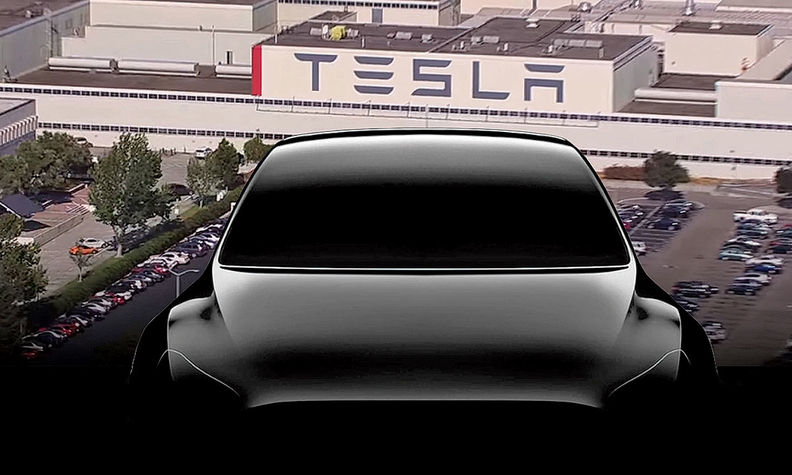 The Model 3 is slated to begin production in July at Tesla's Fremont plant in California, with the Model Y tentatively scheduled to follow in mid-2019. Tesla is currently the most valuable U.S.-based automaker, with a market capitalization of more than $60 billion, but it has yet to turn an annual profit.